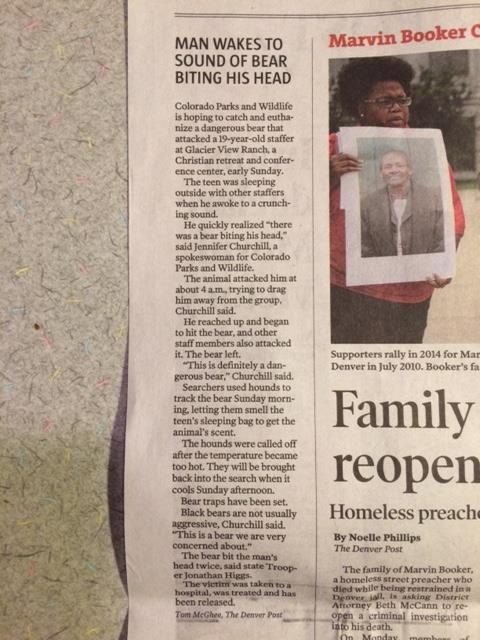 The victim of the attack, a 19-year-old staff member at a youth camp, saw the bear after it was trapped and told officials be believed it was the same bear that attacked him while he was sleeping. “We think this is the bear that did the attack,” Churchill said. 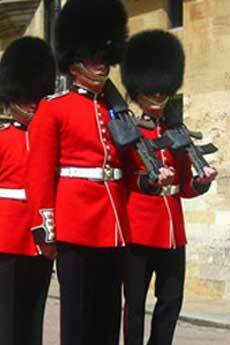 The Queen’s Guardsmen in their bear fur hats. 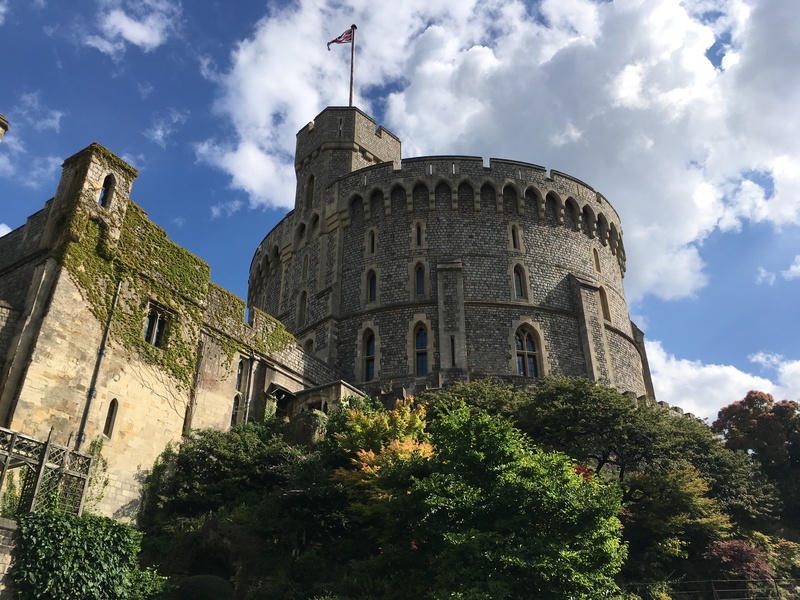 In the meantime, I strongly encourage those of you who have any interest in British and/or British Imperial history in the late eighteenth or early nineteenth centuries to apply for a fellowship from the Georgian Papers Programme at King’s College, London, and its American partner, the Omohundro Institute. These are the institutions that have helped me get here, and I’m sure they’ll be interested in hearing from and working with many of you as well! Until I know I can say more, here’s a pretty photo of my walk back into the village after work this afternoon. ← Esther, encore, and farewell to the U.S.A. Attacked like that in a campground, tho? That’s f-ing scary. Sorry the bear was killed, …but also, as a backpacker, it always makes me nervous when they relocate “bad” (habituated: not their fault) bears to the backcountry. I don’t want to run into any big fellas out there, especially not the “Bad Hombres.” I love that the kid thinks it’s the same bear, though. Dude, your head was in its mouth. At night. LOL. Safe travels and productive research. 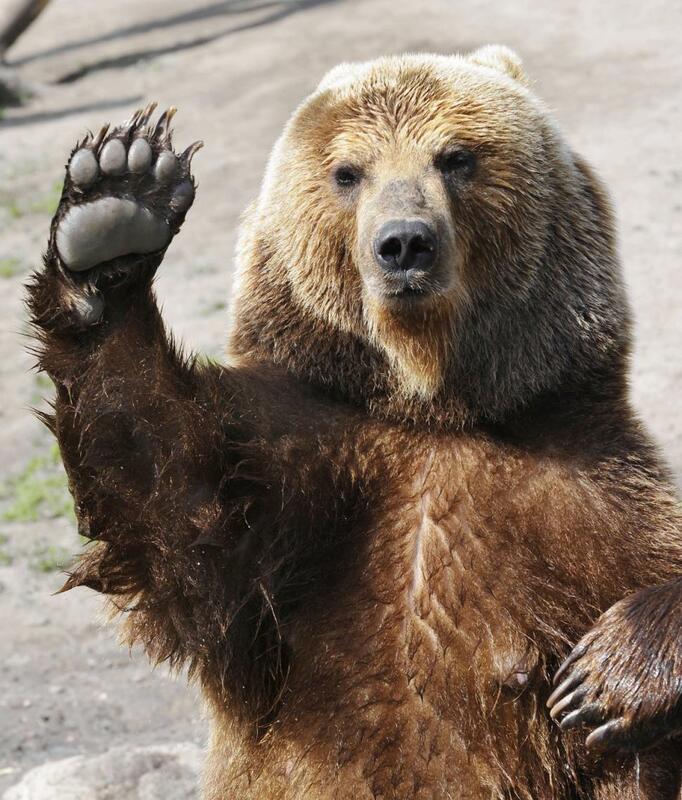 Upon reflection, I sound a little flippant in my post about the experience of a bear attacking (unprovoked) a sleeping camper, and a young one at that. I probably shouldn’t have–and never would have written it up so lightly if the teenager had been more badly hurt or disfigured. My sarcasm was more directed at the reportage than on the attack, but I should clarify. I’m really glad the young man will take away little more than a few scars and a really great story for the rest of his life! We are campers too, but as far as I’m concerned I don’t need to see any bears up close, anywhere. I want them in the wild, in their dens & territories unmolested by the likes of us, and vice-versa. When I went to Girl Scout camp the counselors would collect all our candy and keep it in their cabin for “safe keeping.” They told us that if we ate candy at night, the squirrels would smell it on our breath, come into our platform tents, and chew our lips off. It was only years later that I realized we was robbed! Now I’m thinking, thank goodness I went to camp in Rhode Island and not Colorado! That’s one lucky kid. BWAH-HAhahaha!!! You totally got robbed. This gambit worked for a solid decade or so with Halloween candy, where putting it in a high kitchen cabinet meant that it got ignored & forgotten (by anyone who couldn’t reach it.) But the tweens caught on after that point–maybe because they got tall enough to see it? We’ll be glad to hear about anything you can report on, Historiann, whether in or outside of the walls. I was in an “Identification Parade” (i.e., a “lineup”) once, only on the bear’s side of the transaction, as a potential perp. And this a homicide case. Long story, but a couple of rookie street cops needing to fill a call asked if I could “assist” Her Majesty’s Metropolitan Police in an investigation. Next thing I knew I was in the basement weight room of a police station off of Lamb’s Conduit, sitting on a metal chair with some grizzled regulars, waiting for the witness to make it over from Wembley. Realizing that I had an undeveloped photo of the crime scene in my backpack added to the drama. But when the Guv’nor (head cop) heard that they had snagged an American passport holder in this dragoon, he came down and stood with me through the episode. We all got 6 pounds sterling for our efforts. But this is not a post about lineups. I do have documentation of this, however. I would like to personally congratulate you as your blog Historiann has been selected by our panelist as one of the Top 50 American History Blogs on the web. I personally give you a high-five and want to thank you for your contribution to this world. This is the most comprehensive list of Top 50 American History Blogs on the internet and I’m honored to have you as part of this!